Sparring is an essential part of boxing or martial arts training where you get to practice your skills with an opponent in a situation similar to a fight. Amateur sparring is a way for beginners to consolidate their developing abilities and skills against others of a similar standard. There are certain rules set out for participants which vary depending on what type of sparring they are doing. A number of disciplines offer the opportunity to spar. There are sessions for boxing sparring, karate sparring and muay thai sparring. Amateur sparring is designed for beginners or those without a high level of experience and training. Get fit and have fun in our friendly and supportive environment. Sparring is a great way to challenge yourself and bring together different skills you may have learned in training. Challenging a real opponent helps develop quick thinking and improvisation as well as self-control and confidence. Even non-competitive athletes and beginners can benefit from sparring as it offers the opportunity to improve fitness and practice skills. More serious athletes can use amateur sparring as a way to prepare for competitions and practice their combat skills in a training environment. Is amateur sparring for you? 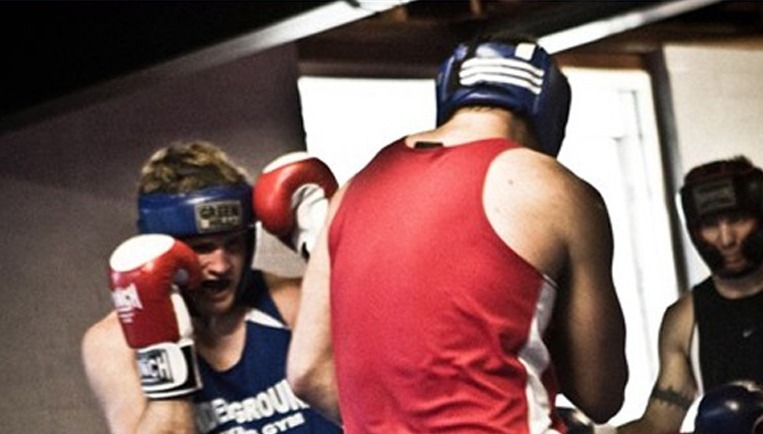 Sparring is a fun and fast paced way for you to put your lessons into action. It’s also a great way to meet new people and get a good workout. If you’re looking to put your newly learned boxing or martial arts skills into practice or improve your confidence, you might find that amateur sparring is an enjoyable and helpful experience. Call us today to find out more about amateur sparring or register to attend a session.